Disability fraud is a serious crime that the federal government investigates thoroughly and prosecutes aggressively. Sometimes too aggressively. That’s why you should seek trusted legal representation as early as possible in the investigative process. 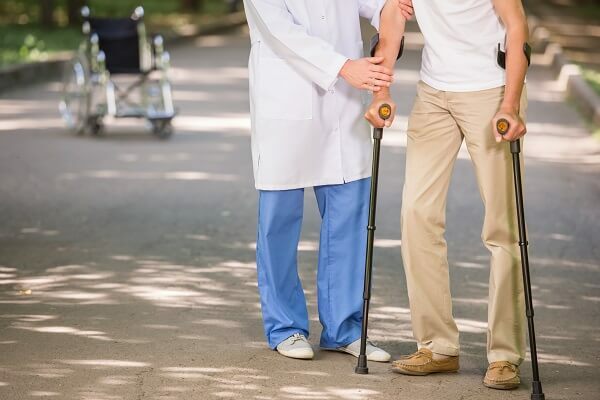 When people think of medical disability fraud, they imagine someone taking elaborate measures to deliberately defraud taxpayers of money as part of some grand criminal scheme. The truth, however, is that allegations of disability fraud frequently spring from situations that are much more innocent: minor errors, honest mistakes, or miscommunication that the government tries to spin as a lie. It can be as simple as an accidental omission when you were filling out one of the countless forms you were asked to sign when registering for benefits. False accusations by whistleblowers are a real concern too. The government provides incentives to people who turn in a disability recipient for fraud or who accuses someone of fraud in a qui tam lawsuit. Those lawsuits can trigger criminal inquiries, even if the suit itself doesn’t ultimately have merit. Prosecutors have a job to do: send people to prison. They are extremely eager to do their job. Unfortunately, in their over-eagerness, they slap unwitting defendants with excessive or trumped-up criminal charges. “Throw the book at ’em” might sound like a noble crime-fighting tactic, but more often than not, that attitude can ruin the lives of people who don’t deserve it. It isn’t uncommon for someone who thought they were playing by the rules to end up facing criminal charges. Whatever the case may be, if you stand accused of a crime, you deserve passionate and aggressive legal defense. Hire an attorney who will be as zealous in your defense as the prosecutors will be in their efforts to put you behind bars. If you have been accused of committing fraud in connection with a government disability program, please contact Oberheiden, P.C. as soon as possible. Who Gets Charged with Medical Disability Fraud? Most disability fraud investigations target the beneficiaries of government aid programs, such as welfare recipients or those applying for assistance under Social Security Disability (SSD / SSDI) or Supplemental Security Income (SSI). Others target people who turn claims in on a private insurance policy. Any individual who receives benefits under any of these programs or policies — or even applies for one — could be targeted for an investigation into possible fraud. Doctors and health care professionals can get charged with medical disability fraud too. Federal agencies are particularly fond of targeting medical providers for fraud crimes in the current political climate. Even if you had no idea your patient was engaged in fraud, you could find yourself roped into an investigation as his or her provider. Oberheiden, P.C. is an experienced federal defense law firm that represents individuals and health care professionals all across the country. We focus our practice on health care fraud and criminal defense, and our track record speaks for itself. Whatever the nature of your allegations might be, we want to help. The partners in our firm are all former federal prosecutors whose work included medical fraud investigations. When you hire Dr. Nick Oberheiden and his team, you have access to all the resources and experience of our firm. Dr. Nick Oberheiden — An accomplished attorney, author, and legal correspondent who solely practices federal health care defense law. Dr. Oberheiden, who earned not only a JD but also a PhD in Law, has successfully defended clients in alleged fraud cases, including individuals, doctors, large organizations, and well-known public figures. Learn more about the other members of our federal criminal defense legal team. Talk to the Knowledgeable Criminal Defense Lawyers at Oberheiden, P.C. Fraud charges are serious, intimidating, and challenging. Please don’t face them alone. Contact us to get experienced, passionate, and proactive legal guidance on your side as quickly as possible. We offer free and confidential consultations. To speak with a medical disability fraud attorney about your legal matter, please call Oberheiden, P.C. at (888) 727-0472 right away.